Patients with a heart related illness can keep their complete personal medical record history at their fingertips. Do not rely or believe that healthcare facilities will have your complete medical history available. Preparing ahead places you immediately where you are worthy to be: at the hub of your medical care as a genuine partner with your healthcare providers. Having to help with ongoing care for both my mother and my husband throughout their final days really opened my eyes to the need to have accurate medical records. Patients with coronary heart disease, congestive heart failure, congenital heart disease, vasculitis and who have suffered a heart attack can easily track their medical condition. 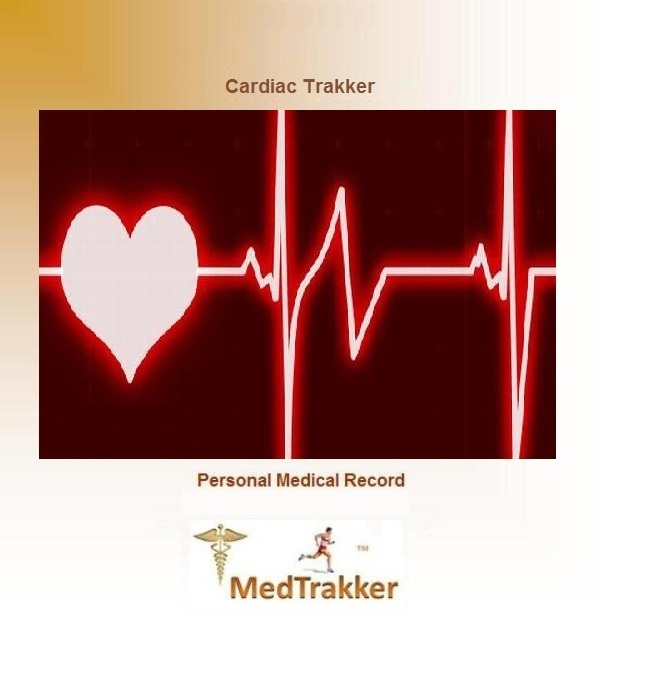 Cardiac Trakker is a paper based personal medical record keeper that allows a patient, and in a lot of cases, a patient’s family, to have all pertinent information right at their fingertips. It can offer some piece of mind especially when dealing with many different healthcare providers. Sometimes the care a patient is given is only as good as the information their physician has on hand. This personal medical record keeper can reduce the risk of missing life saving information and repeated tests and lab work, and help patients and their families be sure that the best possible care is being received. “Having to help with ongoing care for both my mother and my husband throughout their final days really opened my eyes to the need to have accurate medical records” said Author Amber Bowden. Within the Cardiac Medical Organizer there are sections for recording insurance information, medical history, personal contacts, surgical histories, health and nutrition, medications, immunization dates, medical devices, blood pressure levels, appointments and so much more. Some important items that are absolutely a necessity can be missed or hard to obtain when a loved one’s medical care is your main focus. This personal medical record keeping system has a place for everything. Record life matters such as the locations of safe deposit boxes, bank accounts, insurance policies, automobile titles, birth certificates, death certificates, power of attorney, divorce papers, last will and testament, and important contacts, such as lawyers, family physician, funeral home, cemetery plot information, executor, stock brokers, etc. This list goes on and on. Cardiac Trakker provides a section to record instructions made by doctors, medications and types of treatments and their benefits and risks, and other information to help track results. Use the Cardiac Warnings and Symptoms log to help track severity and frequency of potential problems. This personal medical record keeper also allows a patient to track their nutrition, exercise and sleep. It provides not only a Daily Food Diary, but also a Daily Exercise log and a Sleep Trakker. So not only can a patient track their Cardiac Condition but they also have tools to manage their health while going through treatments and surgeries. Author Amber Bowden is available for speaking events, book signings and expert quotes and can be reached at linkedin and also on Twitter to answer further questions regarding the whole family of MedTrakker Personal Medical Record Organizers.